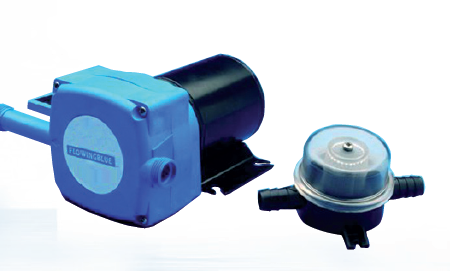 The new modern diaphragm pump that can be set up in several applications and with different pump motor configurations.It is easy to install as a bilge pump in any leisure craft or anywhere after the drain outlet in the waste water system or directly in the Matromarine waste water tank . No filters required, the pump can run dry, and also can handle a mixture of air and water without difficulty. 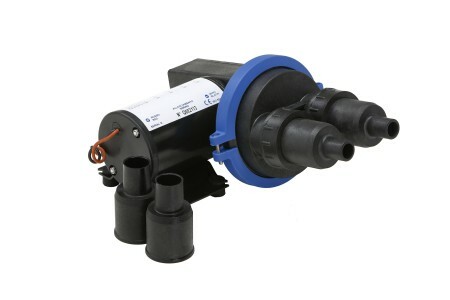 Perfect for installation in tight spaces, the SUPERCOMPACT diaphragm pump can be incorporated into a small boat bilge space. Available in version with double 19 mm port connection and 25 mm port connection. Equipped with straight port connections. DIAPHRAGM PUMP FB 18L. 24V.